From VOA Learning English, this is the Technology Report in Special English. China recently said it considered launching a drone strike against a Burmese drug trafficker. Naw Kham was wanted in the killings of 13 Chinese sailors on the Mekong River in 2011. China's top drug official said the plan was to bomb the drug dealer's mountain hiding place in northeastern Burma using unmanned aircraft. The official said the drone strike idea was passed over in order to capture Naw Kham alive. He was seized last April in a joint operation with Laos. That China considered using a drone strike is a sign of its increasing development of unmanned flight technology. 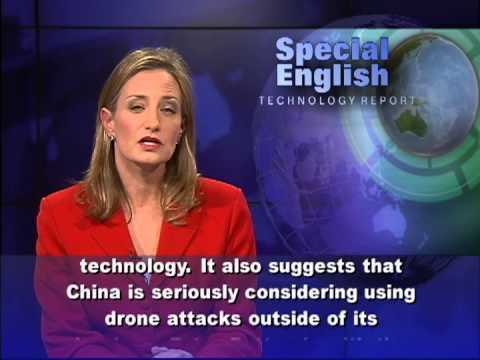 It also suggests that China is seriously considering using drone attacks outside of its borders. Peter Dutton is with the United States Naval War College. He says China is moving away from its earlier policy of non-interference in international affairs. He says the country is becoming more active in protecting its interests beyond its borders. The United States has led the world in drone technology for years. It is known to use UAV, or unmanned aerial vehicle, strikes against foreign targets. In recent years, China has greatly improved its UAV technology. It showed off many of its new models at recent air shows in the country. One of the drones has a range of over 3,200 kilometers.